Environment, sustainability and the broader welfare of the human race are big motivators behind these pursuits. We are living in one of the most exciting times in human history. Years of technological and cultural progress have set off an increasingly virtuous cycle where humans are aspiring for and achieving seemingly impossible targets! Who would have thought just a few years back that private organisations and not governments, would dare to colonise Mars? Thankfully, these crazy aspirations are increasingly inspired by noble notions. Environment, sustainability and the broader welfare of the human race are big motivators behind these pursuits. Unlike the colonialisation in the past centuries, the colonising of Mars is motivated primarily by the need to have an alternate home for the human race in the face of an extinction level calamity, and not to plunder its wealth. Similar forces at work as above are affecting almost all sectors, including mobility (of the automotive kind and not cellular mobiles!). Technological innovations, sharing economy and the need to address the pollution and congestion issues have unleashed forces that are disrupting the mobility industry. On demand vehicle aggregation and use of environmentally friendly fuel are the two most prominent outcomes. Ridesharing through IT enablement (or online taxis) and electric vehicles are two tectonic trends that cannot be ignored even in India. For the past decade as well as five before that, the roads in Indian cities have increased at an average of 5 per cent per year, while the vehicles have increased at 10 per cent per year. No wonder our cities are choking with traffic. Fast-forward it a few years, and one would shudder to venture out to commute! Ride sharing can cut down the vehicles on road and the congestion. Electric vehicles (EVs) are almost zero emission. While currently the Lithium ion based EVs are 2-3 times more expensive than comparable gasoline based vehicles, there is a learning curve at work pushing down the cost progressively. With these improvements underway, the electric vehicles in future would not only score higher on environment friendliness, but also on the Total Cost of Ownership. Studies in both the developed and developing markets have shown that motorised mobility increases employment generation. Inspite of having some of the lowest priced two wheelers globally, two-third of the Indian households still do not own a motorised mobility option. In comparison, Vietnam and Indonesia have close to 100 per cent penetration. 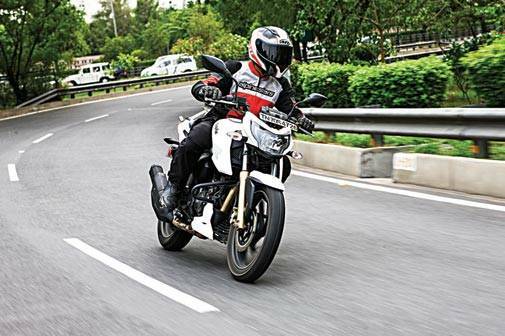 Of the close to 100 million two wheelers on the Indian roads (two wheelers make up roughly 80 per cent of all motorised vehicles), a substantial fraction has 'vacant pillion seats' commuting around. However, it need not be so, particularly if technology steps in. On demand, IT-enabled two, three and four wheeler taxis can bring convenient, cost effective mobility solution closer to the Indian masses, substantially increasing employment. The most obvious question in response to the assertion above is whether we could migrate to the above state without risking the safety and security of the driver and the customer? Should or under what conditions the private vehicle owners be allowed to offer rideshare to unknown customers? To address the above questions and many others, all stakeholders including regulators need to take multiple steps. First, all state governments should allow ridesharing of passenger vehicles. In particular, notify two wheeler taxis in all states. Even though clearly allowed by the Central Motor Vehicle Act, only three out of 30 states have notified the two wheeler taxis so far. Second, strike the right balance to ensure the gold standards on safety, security and transparency. The compliance requirements for drivers and the vehicle used for taxis or ride share should be more stringent than if used only for personal usage. However, regulators need to strike the fine balance to ensure safety and security of the drivers and customers, while not imposing onerous obligations which could make the whole initiative stillborn. The industry should support the regulators in applying technology to solve genuine concerns of customers and drivers. It will become that much easier for the regulators then to regulate! Third, promote ridesharing. It would require regulatory and social reorientation. More and more private riders should be comfortable - and be allowed lawfully - offering empty seats to others who need. The government should decide the additional compliances to use a vehicle for 'hire or reward' (e.g., vehicle fitness, commercial license of driver, a yellow board), but make the process user friendly. It should also refrain from imposing unnecessary compliances. For example, avoid mandating visual marks on the vehicles that would prominently associate it with the taxi application and discourage a private user. Do not mandate uniform for drivers, installation of physical meters, and painting mobile or driver name on the vehicle. With other checks and compliances related to the safety and security, these steps are overkills. If done well, the entire on-demand IT-enabled two, three, four wheeler rideshare effort can make the motorised mobility accessible to 100 million additional customers, and generate supplementary/ primary earnings for 10 million drivers/ owners. In addition, it can help cut down the city congestion by 50 per cent or more. Electric two wheelers and cars started in India with a huge promise half a decade back. However, they flattered to deceive. The primary reason was the shoddy performance of lead acid based products. However, in the past few years, Lithium ion based products have started to emerge as a superior alternative. They have a longer range per charge, longer life, higher top speed, fast charge option and, most importantly, can be disposed off in a more environment friendly manner. They, however, suffer from a higher upfront cost - more than twice that of comparable gasoline based vehicles. Further, the range anxiety of customers - running out of charge and being stranded - needs to be addressed. Even though based on the Total Cost of Ownership, the Lithium ion vehicles could still be cost competitive, the high upfront cost renders them out of reach of the masses. As the Lithium ion technology improves further and the scale kicks in, the upfront cost would come down, but still not fully compared to gasoline powered products. Electric vehicles present a huge promise for Indian mobility needs. 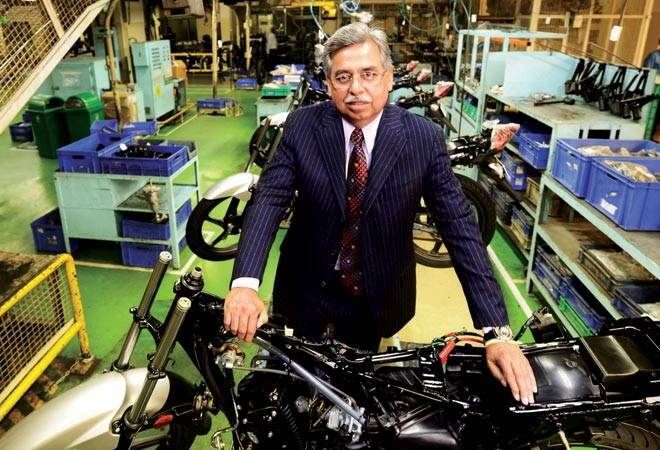 Further, particularly in the case of two wheelers, the Indian market could be used as a springboard to create global champions out of India such as BYD and Tesla in cars. It could be a shining example of Make in India, and Startup India, given startups are also likely to play a prominent role in the EV ecosystem. While the industry needs to lead the charge, it will need the government support in the initial few years, much more than most other initiatives. Many governments - such as Chinese, Dutch and Norwegian - are investing heavily to bootstrap the industry, in the hope of reaping big dividends thereafter. Once the industry hits the critical scale, the costs will decline, the charging infrastructure would become viable, financing models would mature and the customers would ride over the past stigma and embrace electric vehicles more openly. The stakeholders including the government need to pursue the following initiatives. First, create a long-term roadmap with predictability of regulations and economic incentives. Announce a concrete, long-term FAME (Faster Adoption and Manufacturing of Hybrid and Electric vehicles in India) scheme once the current one lapses on 31st March 2017. Second, continue to support the nascent industry to reduce the upfront product price. Extend the current FAME incentives, and set the GST rate for EVs no higher than the current total tax on them. Countries such as China provide incentives up to 40 per cent of the initial product price. Third, beyond the support on the initial product price, also incentivise the ongoing usage e.g., power for charging EVs at concessional prices. Fourth, judiciously create the charging infrastructure. Focus initially on three-four model cities instead of spreading the effort across a large number of cities. Align the focus with that of the industry players. Allow the power distribution companies to set up infrastructure and enable electricity retailing, and mandate creation of charging infrastructure in building by-laws. Lastly, enable the banks to start financing EVs. Surprisingly, no financial institution today finances an EV! For an asset with a high initial price and low ongoing cost, an attractive financing package would be a big boost. If electric vehicles and ridesharing can make a huge impact separately, they can multiply the magic if unleashed in conjunction. An on-demand, IT enabled, two, three and four wheeler systems propelled by electricity can be the panacea for our cities' mobility and vehicular pollution issues.